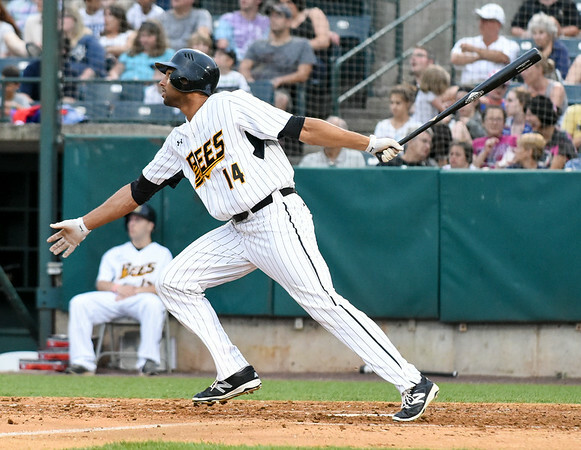 NEW BRITAIN - The New Britain Bees are bringing back another familiar face. Team officials announced the re-signing of outfielder Michael Crouse Monday afternoon. Acquired from the Lancaster Barnstormers during last season, Crouse hit .291 with 111 hits, 10 home runs and 60 RBI in 105 games with the Bees, finishing the season with a .287 average, the 10 homers and 67 RBI. The 26 year old also led the Atlantic League with 61 stolen bases, 51 of which came during his time with the Bees. Defensively, Crouse spent time at all three outfield positions, primarily playing center field in the second half of the season after Jonathan Jones’ contract was purchased by the Mexican League. Before the season begins, Crouse will play for Canada in the 2017 World Baseball Classic, with the team’s first game in pool play on Thursday at 6 p.m. against the Dominican Republic. Crouse previously represented Canada in the 2008 World Junior Championships and in the 2011 Pan-American Games. Posted in Newington Town Crier, General Sports, New Britain Bees, on Monday, 6 March 2017 21:18. Updated: Monday, 6 March 2017 21:20.